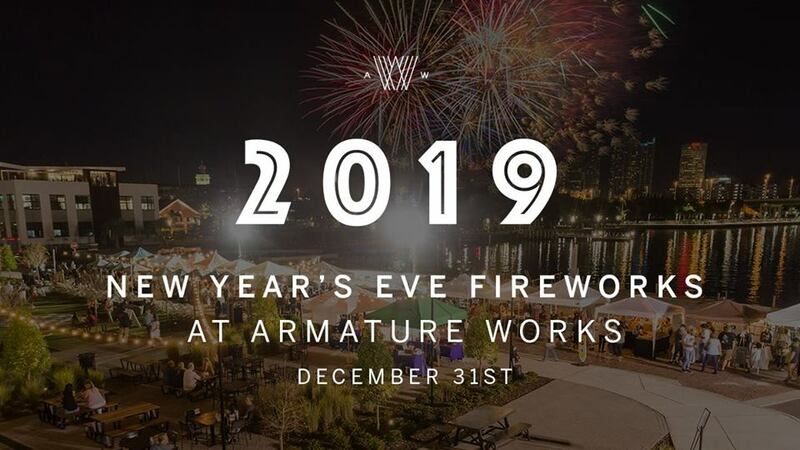 Armature Works is hosting its first annual New Year’s Eve fireworks display and live concert event to ring in 2019. This event is free, family-friendly, open to the public and will feature a breath-taking fireworks display to ring in the New Year. Event attendees can view fireworks from our South and West Lawns, nestled along the banks of the Hillsborough river, with beautiful downtown Tampa as the backdrop. Beginning at 8:00pm, the J.J. Taylor and Cigar City outdoor stage will feature live music by Garage/Soul/Psychedelic outfit, the Sh-Booms, with local support from DJ Sam. Outside bars will be available for easy ordering access in addition to the 14 food and drink vendors within Heights Public Market. All Heights Public Market vendors will be open until 1:00am.